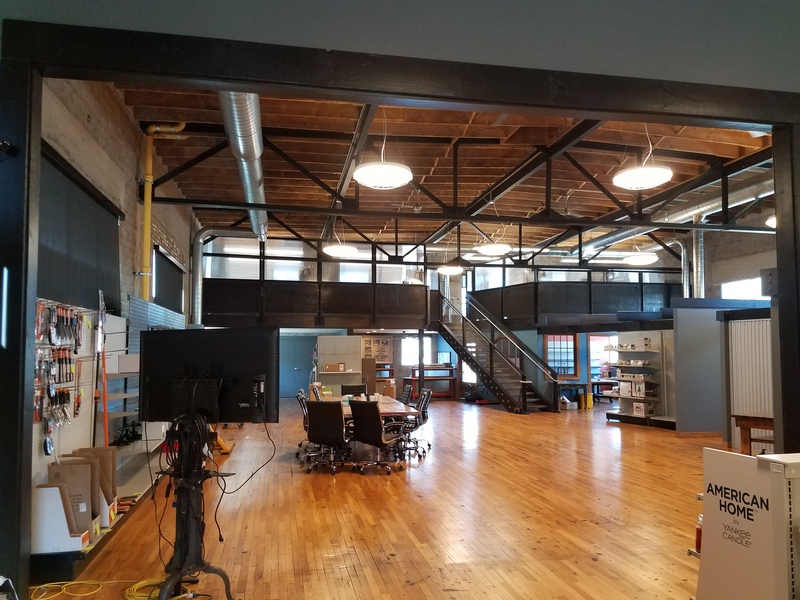 Our recent acquisition of Mingerink and Associates in Grand Rapids, MI brought with it great associates and clients but also an incredible office building. 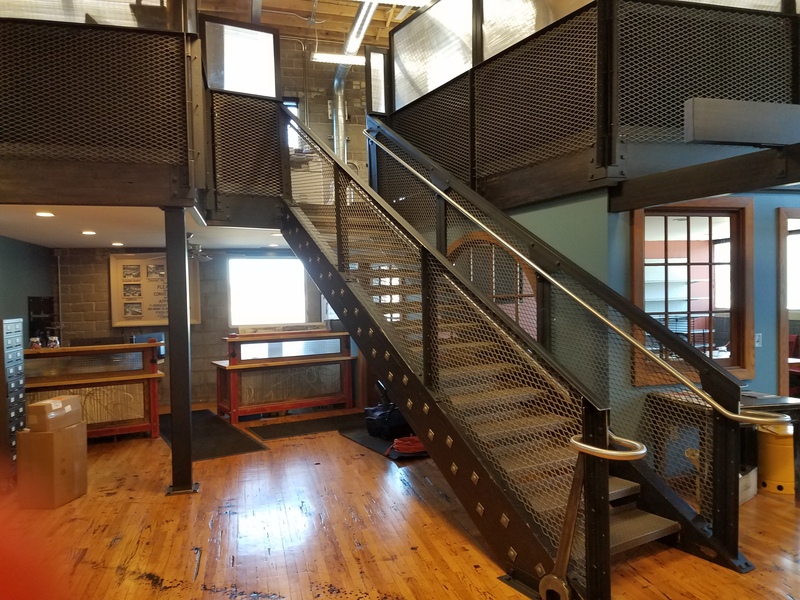 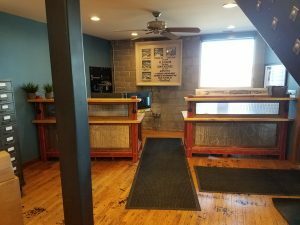 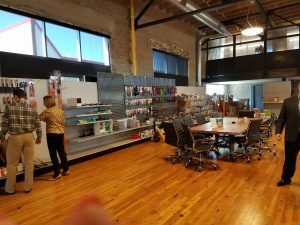 Doug Mingerink Sr., purchased an old (circa 1930) hydraulic fabrication manufacturing facility in 2006, completely gutted it, and made it into their office facility. 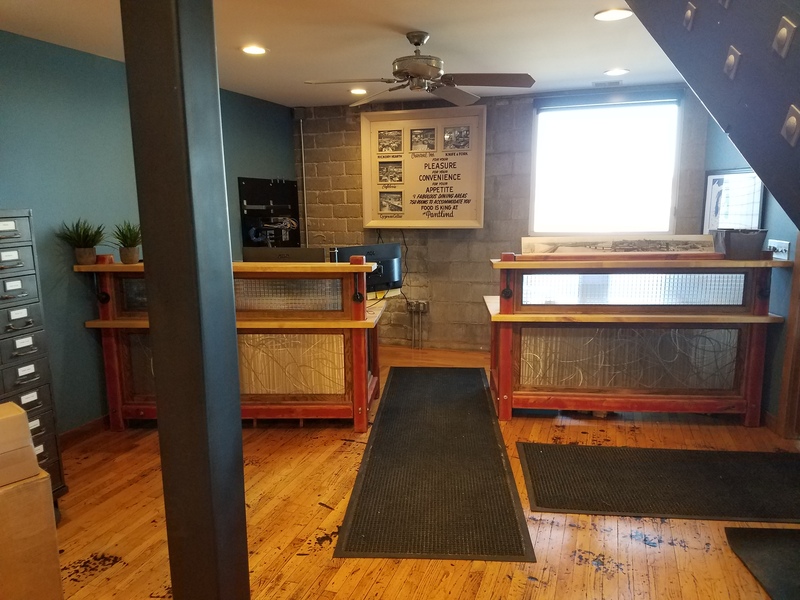 The original oak floors were sanded and brought back to life, the drop ceiling was completely removed, and the original beams were exposed. 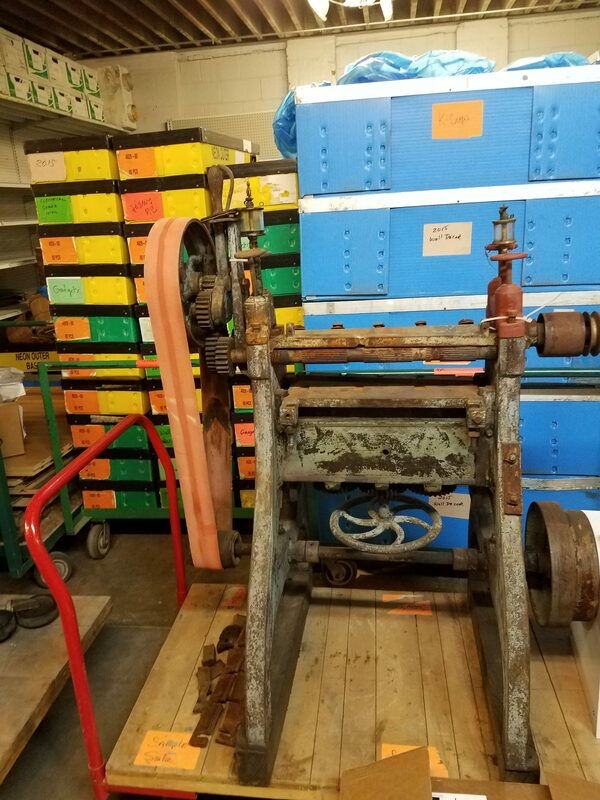 You can even see some of the burn marks on the floor where fabrication machinery sparked flames onto the ground. 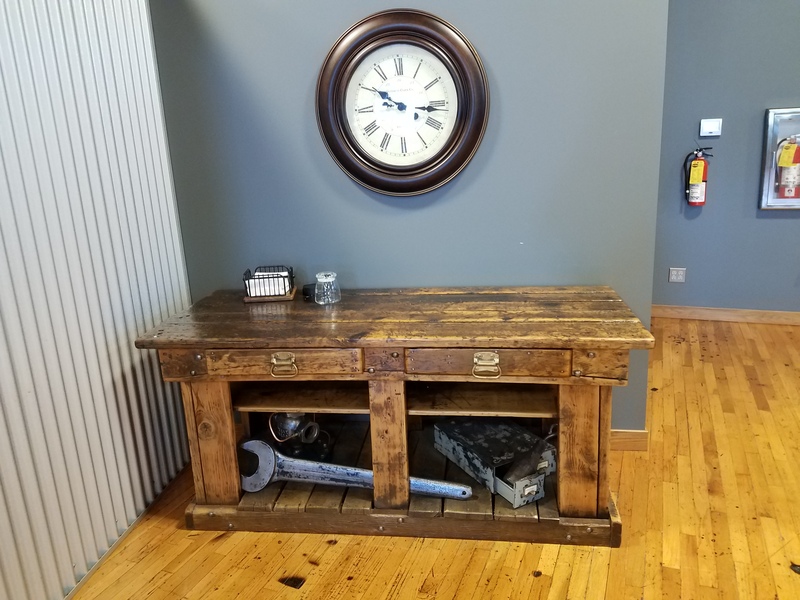 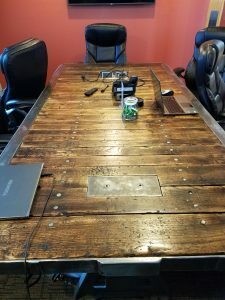 Several pieces of furniture in the office were designed and built by Mingerink Sr. 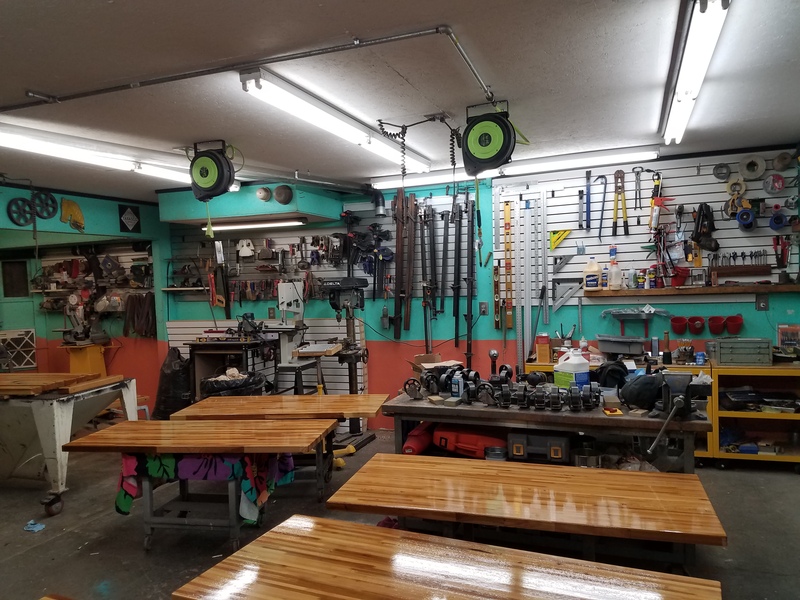 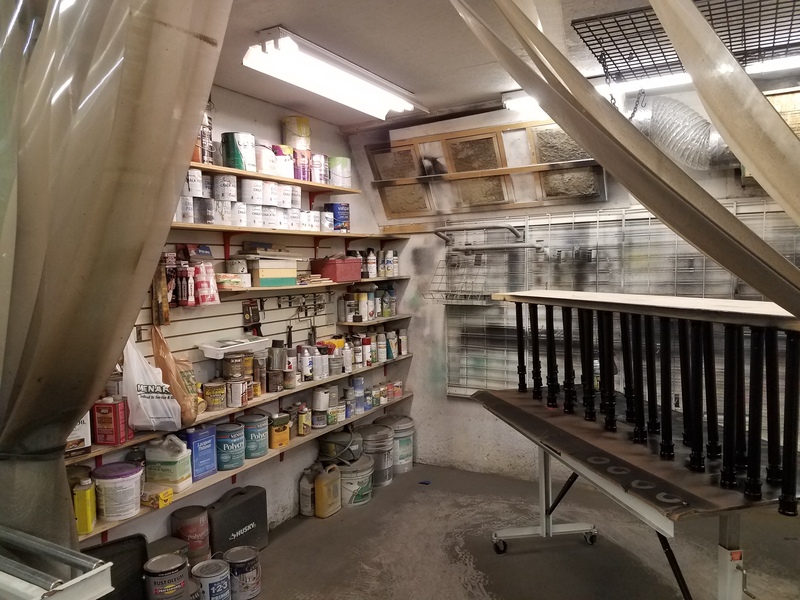 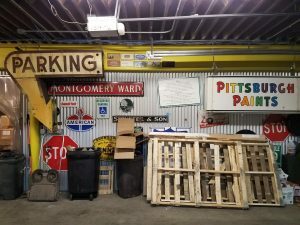 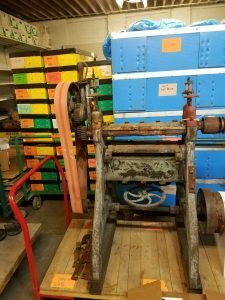 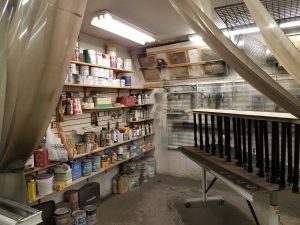 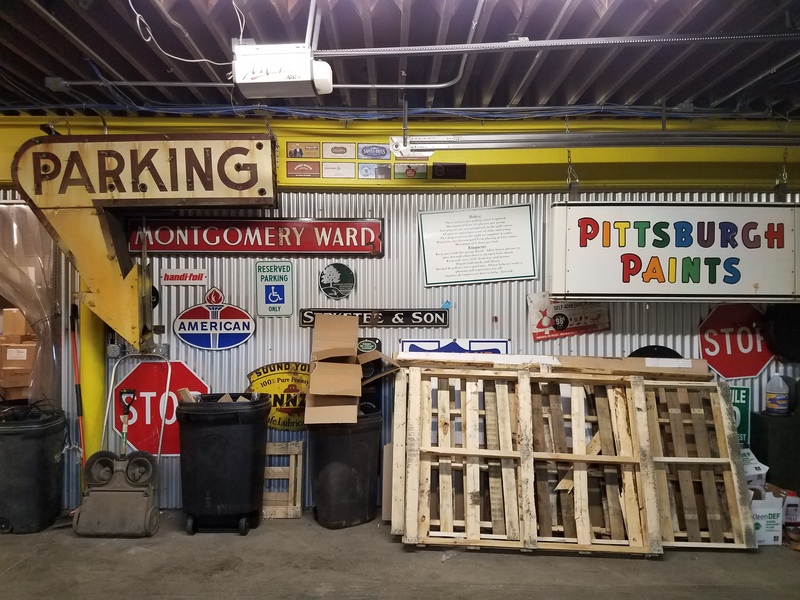 He has a full on metal and woodworking shop in the basement of the building, complete with woodworking machinery, prime pieces of wood, paint, stain, and more tools than you can possibly imagine. 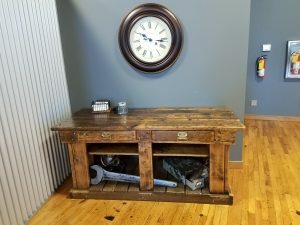 He does this as a hobby and really enjoys making things out of pieces that some people might think should be headed for the landfill. 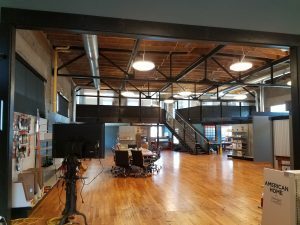 You can see a few pictures of the facility below. 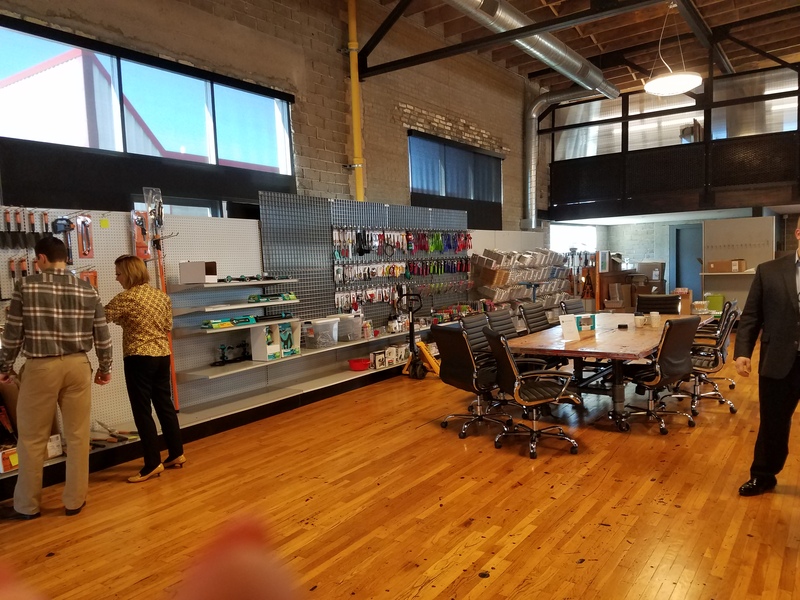 If you’re ever in the Grand Rapids, MI area, stop by and say hi to the team. 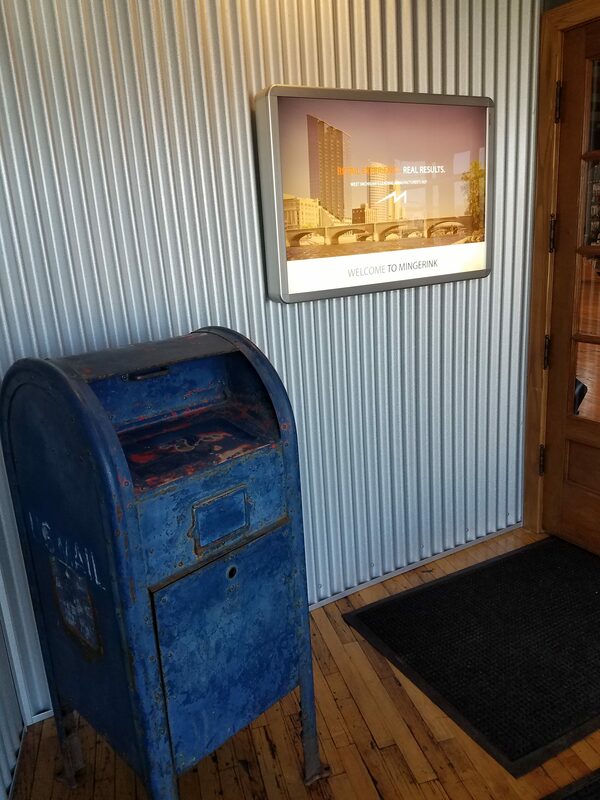 They’d love to show you around.